I wrote this statement last Spring as I looked down the long barrel of class warfare being waged against us. I'm in this for the long haul. We need to be clear about where we stand. What I list below is a reasonable set of demands. What is not reasonable is that we should carry the rich on 10% unemployment, working for $5 an hour, with no health insurance, no vacation, and then having them takes our homes away. We may or may not do it this time, but momentum is building. Eventually we, working class, middle class, first responders, teachers, etc. will all see that we are all on the same side. From Cairo to Wisconsin the people have taken to the streets to demand justice. The grinding poverty under which too many of us are living has caused enough pain and we will join in solidarity with all those who are suffering to hold a GENERAL STRIKE ON MARCH 21st. SPRING BREAK FOR THE AMERICAN WORKER! We labor for wages that cannot support a family, while the super-rich are giving themselves billions in bonus money. The corporate machine lays us off and the government cuts our jobs, and now they even want to take away collective bargaining. They want to take away a hard won health care victory, they want to take away our homes, they want to take away our social security, and cut medicaid all for the sake of lower taxes for the rich. They have no idea of the pain they inflict upon the poor and the worker and now even on the middle class. It is time for us to gather on Labor Day at the Lincoln Memorial, every State House in the Union, every City/Town Hall and let them know we mean business. They saved the skins of the Financial Giants because they were too big to fail. They saved the Giant Corporations like GM for the same reason. So what about us? What about the 90% of America who are on the brink because of the excesses of Wall Street? BUDGET CUTS=JOB CUTS. NO! HELL NO! HERE IS WHAT WE DEMAND! We demand full employment. Unemployment Bureau is a misnomer. It should be THE EMPLOYMENT BUREAU. Unemployment insurance should then be EMPLOYMENT INSURANCE. The government shall be the employer of last resort. up education and public safety. It is a matter of national security! We cannot afford not to do this at the very least. THERE SHALL BE UNION REPRESENTATION IN ALL WORKPLACES. The workers shall elect representatives from the workforce who will negotiate on behalf of the worker. THAT'S CALLED COLLECTIVE BARGAINING. No more layoffs or terminations without a review of elected workforce representation. Grievances shall be brought to the same representatives for mediation and negotiation. 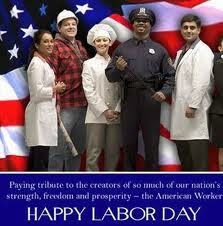 WE INSIST ON UNION PROTECTION FOR THE AMERICAN WORKER. Figure out how to bring our jobs home again. We want to buy American made products again. We demand an immediate doubling of the minimum wage. We demand an immediate increase of 20% of all wages under $100,000. You can figure out how to pay for that but you can begin with a super-tax on the super-rich. And we want another 20% bonus for our work too on November so we can spend it on Black Friday and pump up the economy. They’ve been giving themselves billions in bonuses while we were losing our jobs and suffering from cutbacks, and losing our homes. You owe us! We have fought long and hard for healthcare. It is unconscionable that in this country anyone should be deprived of good health care. Now you want to take away this modest advance on behalf of millions of folk in this nation! NO! We demand healthcare. We’re willing to negotiate how to pay for it. But we demand it and we demand it now. Hands off heath care! You made a huge mess and we bailed you out (Banks & Mortgage Companies, Finance Institutions.) Now its your turn to bail us out. No more foreclosures for two years while we secure the American worker with good jobs and good pay. Then you better be ready to cut a deal, or its back to the streets! You keep preaching to us about family values. I’ll tell you about family values. We want a minimum of three weeks paid vacation, two weeks annual allowance for illness, and five personal days a year. We cannot afford what you have. The least you can do for us is give us time with those we love. Then, as a bonus we'll take four weeks after five years working for you. 6. Quit picking on Gay Folks! Quit the bullying! Quit the threats on Obama and the Liberals! IN CASE YOU HADN’T NOTICED THE GREAT AMERICAN EAGLE CANNOT FLY WITHOUT BOTH WINGS. YOU NEED US AND WE NEED YOU. WE WON’T FIGURE THIS OUT UNLESS WE DO THIS TOGETHER. Paul Bresnahan is a semi-retired Episcopal Priest living in Lynn, Massachusetts.